What is the Role of a Godparent at a Christening? – What It Is? What is the Role of a Godparent at a Christening? A godparent’s role has changed over the years. Historically, they were responsible for supporting parents with the pastoral care of the children and becoming their guardian should the parents die. Nowadays, these responsibilities have diminished somewhat, and the role is more of an honorary one, but this can still make choosing the godparents for your children tricky, particularly if you have a large family and are trying to please everyone! Normally, a child has three godparents – two female and one male for a little girl and two male and one female for boys. At the christening service itself the godparents speak on behalf of the child and agree to bring the child up within their religious faith, if applicable. For families with strong religious beliefs, the godparents are expected to help the child understand their faith and prepare them for confirmation, and so they should follow the same religion as the child. 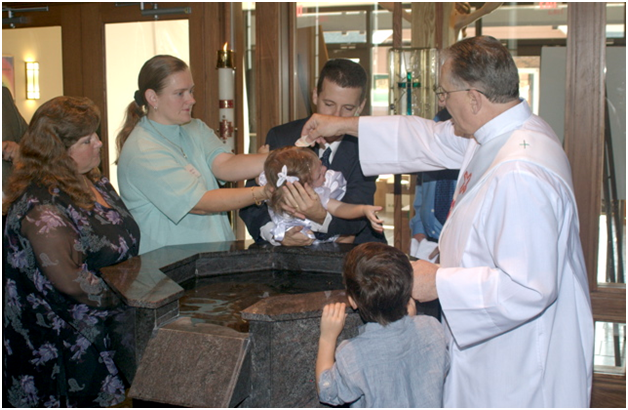 It is also customary for godparents to set a good example, act as a role model for their godchildren and pray for them. A godparent is not bound to act as the child’s guardian should the worst happen and the parents are not be able to look after their children themselves, but it is still sometimes an unwritten or verbal agreement. In non-religious, or humanist, services godparents are replaced with guide parents, who still make promises the child. These can include helping to bring the child up with strong moral and ethical values. It’s traditional to bring a gift for the child being christened, and silver spoons, mugs, cups and bracelets have been popular for many years. Now more modern alternatives are being given such as bespoke pieces of art which record the name, date and family details of the child. In Ireland Christening Gifts like this can be bought from companies such as https://www.gifts4baby.ie/. If you’re looking for gift inspiration, the Independent has some ideas you may wish to consider. As a godparent, it is also normal for you to receive a gift as a thank-you for agreeing to support the child. So whether you’re choosing godparents or guide parents for your child, the position is still coveted and holds great kudos, and most people who are asked to act as either take their responsibilities seriously.